Grammy Award winning Singer/songwriter Michael Bolton has joined forces with PledgeMusic, the frontrunner in the direct to fan experience, to offer fans up close and personal access like never before. The platform brings fans into the making of his new album – from choosing the concept and title of the record to influencing what songs Michael records and which guests join him. Fans will have access to many other once in a lifetime experiences and exclusive merchandise – like a visit to the recording studio or a limited edition book of archival photos. Previously successful PledgeMusic campaigns like that of Lindsey Stirling, whose record Shatter Me, released in partner with PledgeMusic, debuted at #2 on the Billboard Top 200 Album Charts in April of 2014, right behind the soundtrack to Frozen, PledgeMusic sees abundant success for Michael Bolton’s campaign. 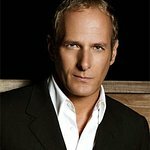 Scott Graves, Head of Talent Relations at PledgeMusic commented, "75 million fans can’t be wrong: there just aren’t many artists in the modern era whose careers compare to Michael Bolton’s. And we couldn’t be happier about the chance to assist Michael and his fans with an up-close and personal view of the making of his newest record. This is the start of something great. To pledge, click here. A portion of the proceeds will benefit The Michael Bolton Charities, which is now in its 22nd year assisting children and women at risk.